“Hey, can I buy you a drink?” is a simple pick-up line that men usually use to hit on women at bars, but some guys are trying… thirstier approaches. 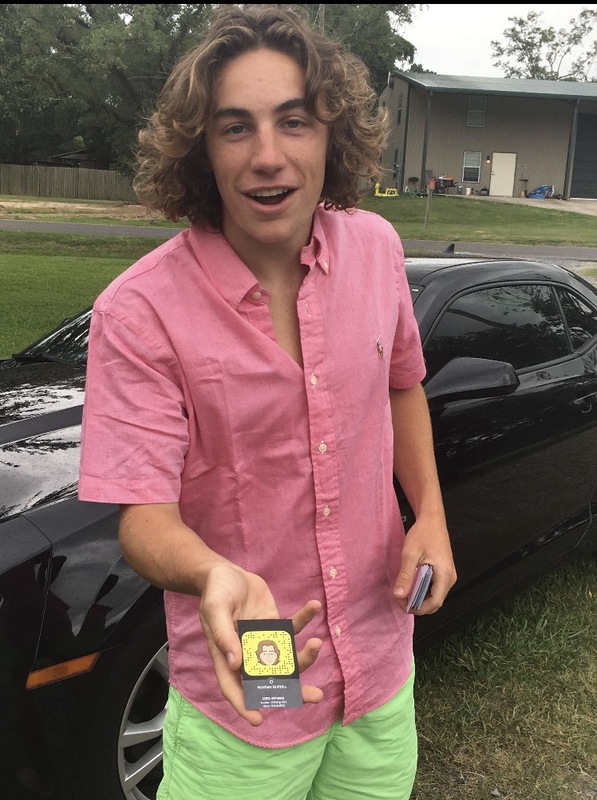 Matthew Griffiths is going to be a freshman at McNeese State University this fall, and he recently gained online attention after the Twitter account WeekendSchemers posted a photo of him with five hundred social media cards supposedly for women on nights out. 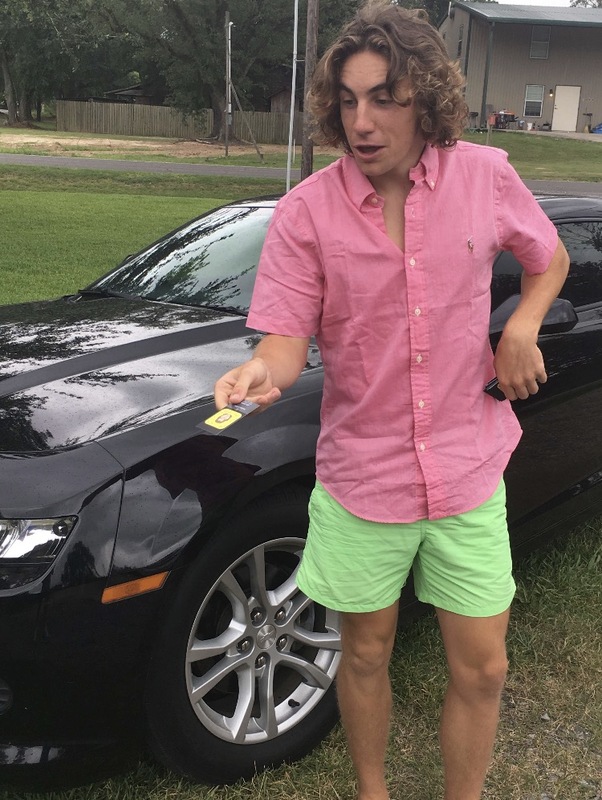 We talked to teen lothario Griffiths (he requested that we include his phone number, which is 337-377-9418) about his business cards, the story behind them and their objective. 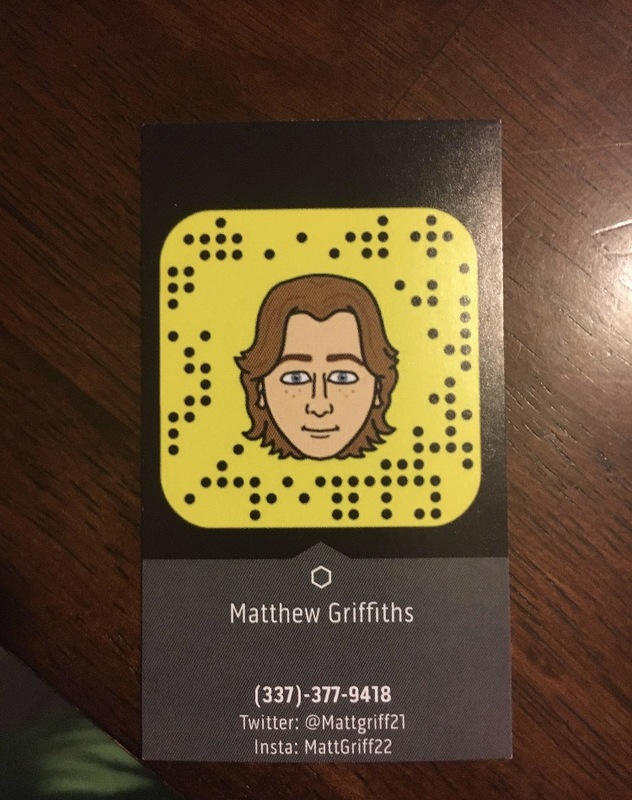 So how did you come up with the idea for social media business cards to use at bars? When I thought of the business cards, I was at a track meet in New Mexico and wanted to share my information with some of the fine girls there, but no one has time when warming up for an event. Which in many other situations, including going to bars, it’s much easier and less awkward than having to hold up your phone while a chick tries to add your Snap code. 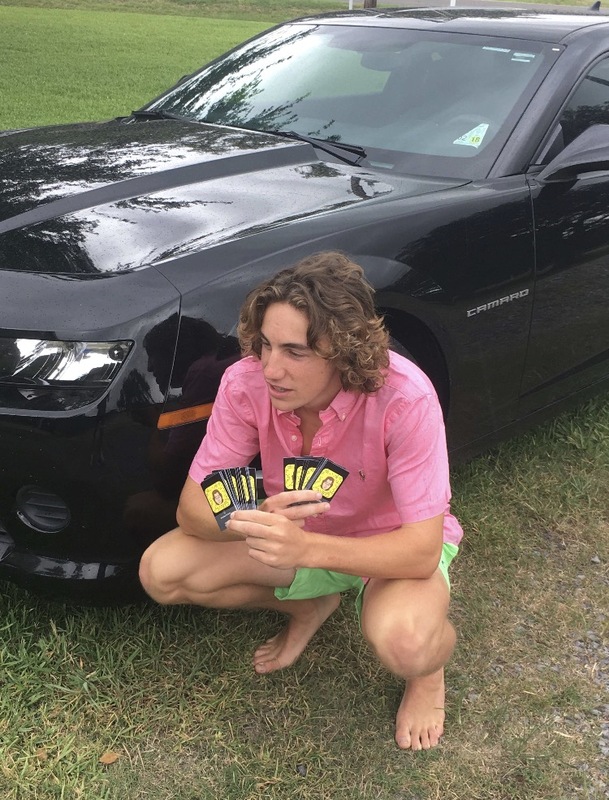 What exactly do the cards have on them? The cards have my Snap code, phone number, Twitter, and Instagram. Have you started using the cards yet? If so, have any of them worked? If not, how do you think women at bars will react to receiving a business card? 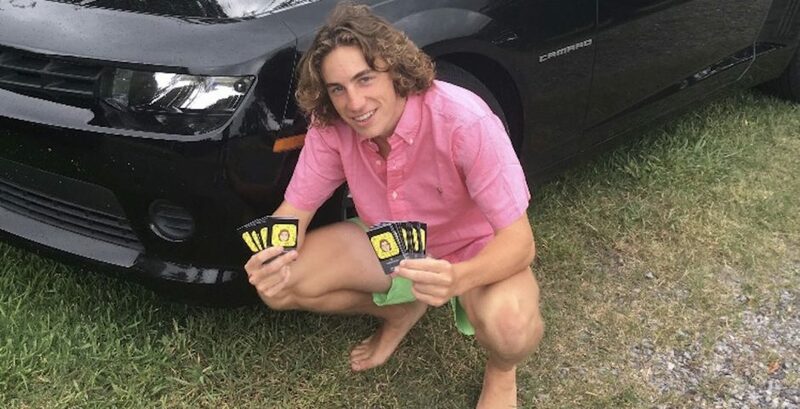 Fortunately and unfortunately, I started talking to a girl that has a good chance at being a relationship right as the business cards came in, so I haven’t been able to use them on chicks yet. 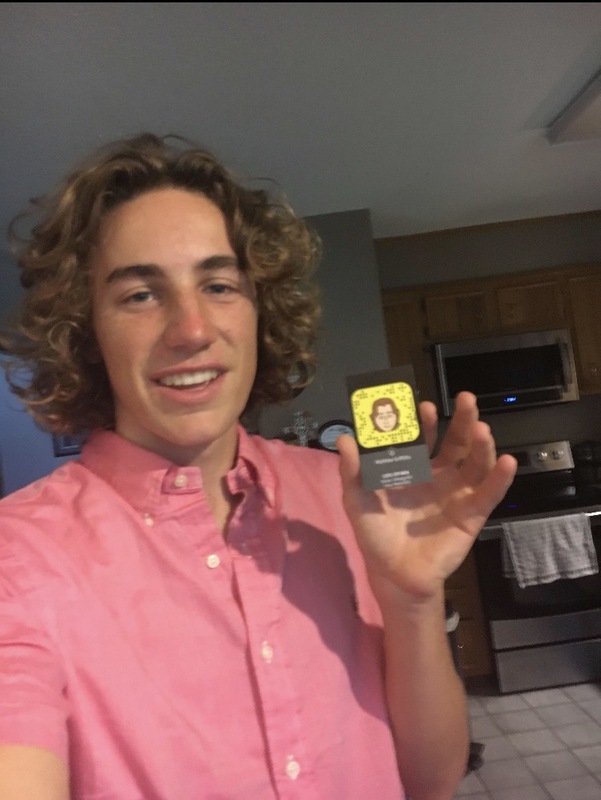 Everyone that has seen the cards, females and males, were interested to see if the Snap code even worked, so all who I have shown it to have added me on one or two social medias. All experiences with the cards so far have been positive. What’s the ultimate goal of these business cards? A girlfriend or is it just for jokes? The ultimate goal of the business cards is to meet new people and gain followers on social media. 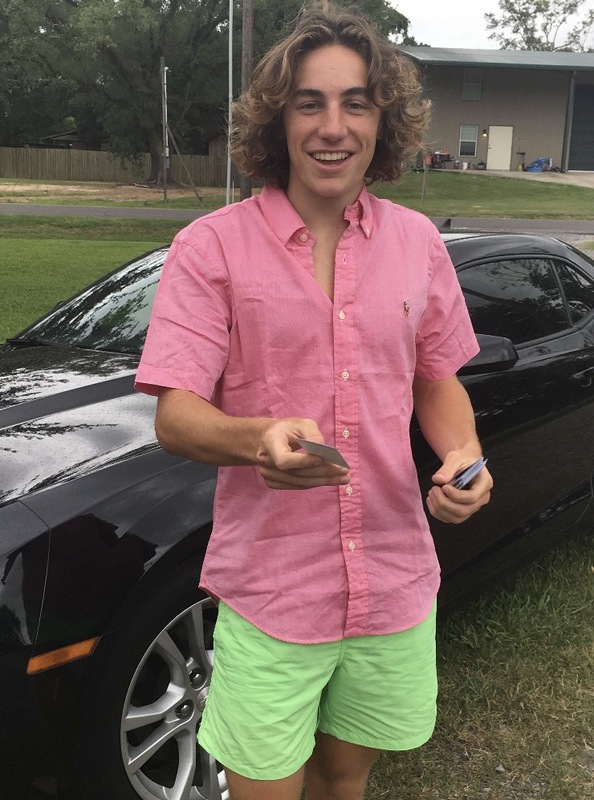 Griffiths hasn’t even made it to college yet, but he is clearly prepared to assume his role as a frat god. His number is below.